App Inbox allows you to nurture your mobile users with a stream of personalized messages and content that are sent to a dedicated inbox inside your app. Inbox can be used as a newsfeed, a blog, a list of recent promotions, and much more. Whether you’re looking to onboard new users, increase user LTV, or just deepen your relationships with your users, app inbox is a great addition to your mobile marketing strategy. Push notifications and in-app messages can be seen as intrusive. 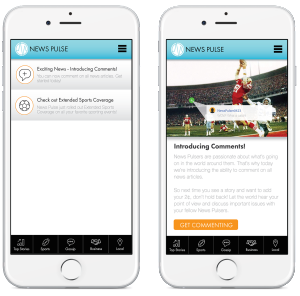 In fact, over 50% of users find push notifications annoying, mostly due to the fact that they are used incorrectly and far too often. Because push notifications and in-app messages disappear immediately, there is no way for a user to go back and revisit content. App inbox solves all of these problems, making it easy for you to maintain a consistent drumbeat of engaging content. By allowing users to consume content at their leisure, app inbox allows you to build a more relaxed, intimate mobile marketing strategy. Like all our messaging channels, app inbox uses Localytics advanced user segmentation to target campaigns. By building audiences based on a user’s profile and behavior inside the app, you can be sure that the right message is being sent to the right users. Use the WYSIWYG creative builder to quickly design inbox messages or upload your own HTML creative for a truly customized look and feel. Schedule each inbox campaign to start and/or stop at a specific date and time or control them manually. 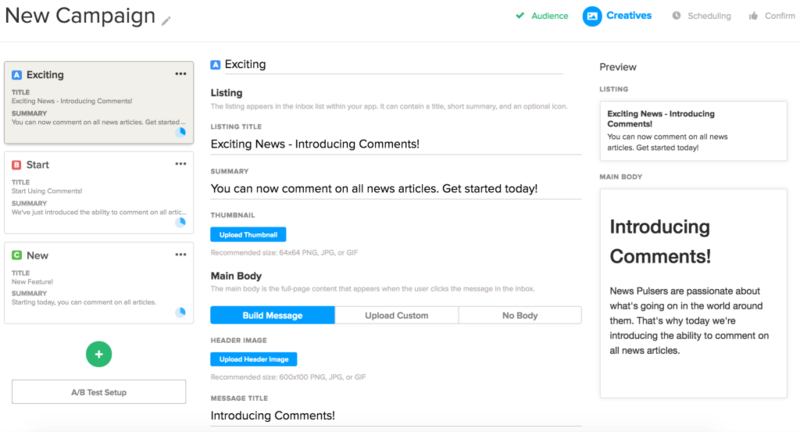 If a user qualifies for a campaign’s audience after the campaign has begun, they will automatically receive the inbox message. If a user drops out of an audience, the inbox message will automatically disappear, ensuring the user isn’t shown content that is no longer relevant. A/B test up to 10 different message creatives in each campaign. Track results by measuring engagement, conversion, and revenue for each message.